Built up area: 1076.00 Sq.M. 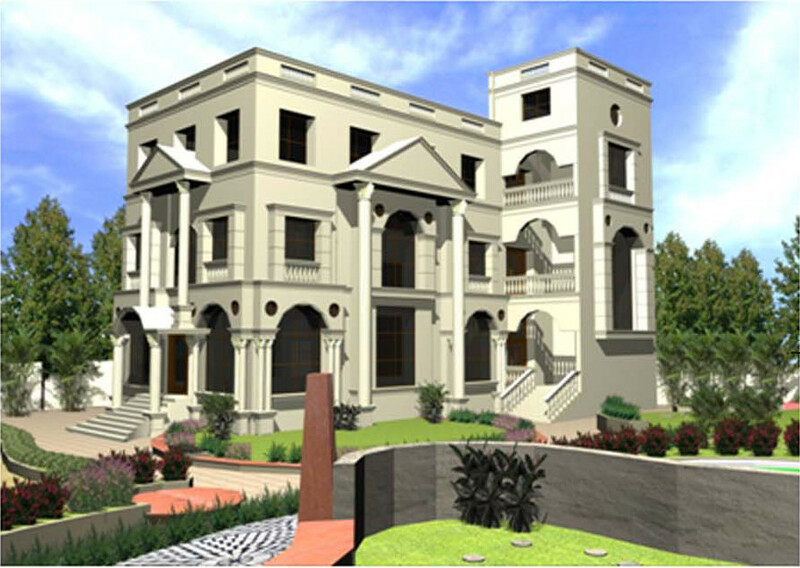 many characteristics and features in this project resembles the temples in Greece which makes it very evident that this project is inspired by the ANCIENT GREEK ARCHITECTURE. ANCIENT GREEK ARCHITECTURE is distinguished by its highly formalised characteristics, both of structure and decoration. This is particularly so in the case of this project where each portion appears to have been conceived as a sculptural entity within the landscape, which is raised on high ground so that the elegance of its proportion and the effects of light on its surfaces might be viewed from all angles. The formal vocabulary of Ancient Greek Architecture, in particular the divisIon of architecture style i.e., the corianthian order, has a profound effect in this project.